Leavenworth real estate offers incredible opportunities from Lake Wenatchee homes, Cashmere real estate, Leavenworth homes, Fish Lake Leavenworth real estate, Icicle River real estate, and Plain WA real estate. The Nick McLean Real Estate Group has a market center with local experts and professionals to serve all your Leavenworth Real Estate needs. 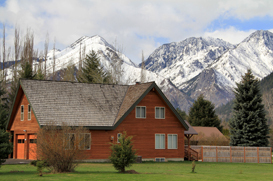 Our group offers a premium Leavenworth MLS listing search for Leavenworth waterfront, Leavenworth Commercial, and Leavenworth residential homes. Choose to buy Leavenworth properties for the four seasons with snowy winters, crisp/clean springs, warm, beautiful summers and colorful falls. Leavenworth real estate is ideally located only two hours or less from Seattle metropolitan areas. Leavenworth WA offers some of the best recreation in WA State from rock climbing, hiking, fishing, boating, golfing, mountain biking, snowshoeing, skiing and much more.